Are your kids becoming restless in the house? You should consider allowing them to play outdoors. This will change the atmosphere, allow the kids to interact with friends and learn new things. Currently, there is a tone of outdoor activities and games for kids today. You can also find the most appropriate outdoor activity for you and your kid; hence spend some time with him or her outside the house. 1.Texture Scavenger Hunt – to do this, you should wrap differently textured items in opaque bags, have the kid close his or her eyes and then go out to search for an item that has the same texture as the one wrapped in the bag. 5.Bubble Blowing – making and playing around with bubbles is an interesting outdoor activity for toddlers. To make a bubble solution, mix 3 tablespoonfuls of glycerin with a cup of dish soap in a gallon of water. 11.Gardening – Most kids love digging in dirt, hence gardening is not such a bad idea. In this case, you can have the kid plant trees, flowers or vegetables or even uproot weeds in the garden. 15.Playing Volleyball – older kids may play volleyball on their own with their friends. If the child is too young to play organized volleyball, you may throw the ball high and have the kid catch it. 16.Flying a Drone – Believe it or not, flying a drone is not just for adults. There are specific drones that are made for kids. Although they won’t be packed with the best possible features, they are still fun and safe to fly. 17.Making treasure hunt maps and hiding several items in the compound then leaving the kid to follow the map and uncover the hidden items. 22.Making and Using Hula hoops – Hula hoop hop is among the most favorite games for many kids today. In this case, the hoops are lined up and the kids are required to hop into the middle of each of the hoops with both feet. Having the kids make their hula hoops can be even more interesting for them. 27.Playing the little cleaner – since kids love playing with water, this will keep them busy outside the house. Just fill a bucket with water and some baby shampoo. You should then leave the kids to wash their bikes and toys. 29.Making a Fairy Home – for older girls, making a fairy home can be fun. In this regard, the kid can collect building materials like stones, moss, bark and leaves and then piece them together using glue. 30. Climbing trees and walls – this should be a supervised outdoor activity to ensure that the kids do not fall off and hurt themselves. 35. Hanky Game – this game involves several kids forming a circle, with all of them seated, except the one holding the hanky. The one with the hunky should then run around the seated kids and drop it behind one without notifying them. The player should then race around them to the position he or she dropped the hanky without being noticed. 40.Swimming – This is something almost all kids love today. Swimming is not only a fun outdoor activity for kids; it also relaxes and refreshes their minds and bodies. 43.Tug Of War – When playing in groups, this is an interesting outdoor activity for children. In this regard, the kids need to have a long rope. They should then draw a line and have two teams pull on either side of the rope, trying to get the other team across the drawn line. You may be looking for an activity that will just keep your child happy and occupied outside the house. 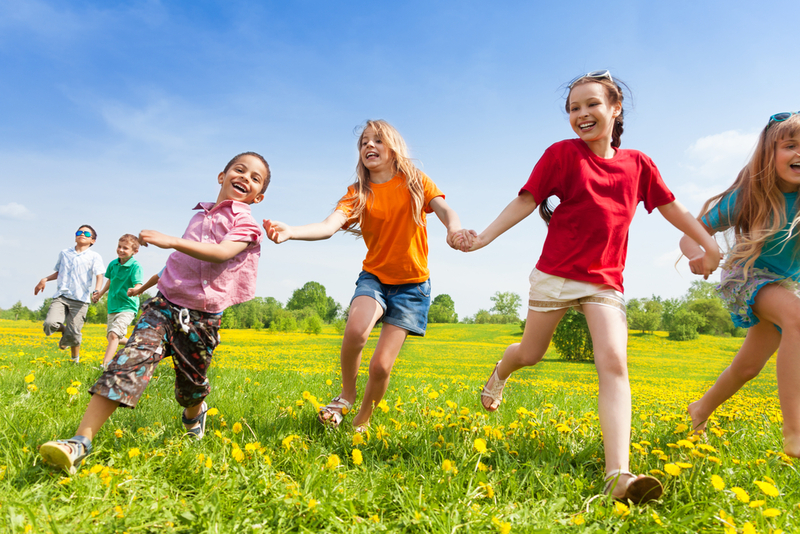 However, the various outdoor activities for kids mentioned above will also help with their mental development and physical fitness.